With fashion month (unfortunately) over, it seems an appropriate time to discuss how copyright law treats fashion designs – or, should I say, how copyright law doesn’t treat fashion designs. The protections that are afforded to fashion designs and apparel under other intellectual property regimes, namely trademark and patent, are largely unavailable under current copyright law. This is due mainly to the somewhat narrow definitions used by the Copyright Act in classifying what may and may not be protected. Specifically, copyright protection extends to “pictorial, graphical, and sculptural works”. 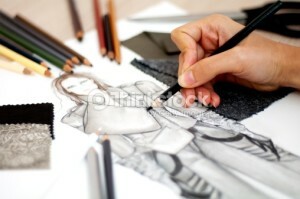 A fashion design would most likely need to fall into this type of work to be protected, as it does not easily fit into any of the other types of protected works. However, a “pictorial, graphical, and sculptural work” (PGS work) is currently protected only if, and only to the extent that, it possesses a function beyond being utilitarian in nature. 17 U.S.C. §101. In other words, if the PGS work’s purely functional aspects cannot be separated from its aesthetic features, then it cannot be copyrighted. Here in the United States, fashion designs are considered functional, due to the fact that the aesthetic features cannot be separated from their purely functional component. As a result, these designs do not qualify as a PGS work, and thus do not receive copyright protection. This also differs from many European countries, which currently allow fashion designs to receive protection (France has even allowed copyright for clothing since the 18th century!). Seem unfair? Well, rest assured that there have been pushes to change the Copyright Act. For example, the Innovative Design Protection Act of 2012 (S.3523) (text and summary available here) sought to change the current lack of protection. Under the proposed act, the definition of a “useful article” would have been changed to include articles of clothing, thus allowing fashion designs to receive protection. The Act would also have provided protection for these fashion designs for a three year, non-renewable term. For better or worse, the proposed bill met its demise on January 3, 2013, with the change in Congress. Protection may further the goal of copyright, which is to promote arts and sciences, through eliminating the threat of having designs immediately copied. 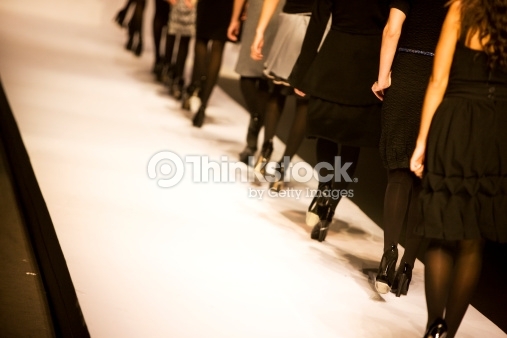 Copyright may provide an incentive for fashion designers to be more creative with their designs. It can be said that providing protection, even for a limited time, would cut against the goal of copyright: furthering innovation. This is by no means an exhaustive list of all the issues presented by the possibility of granting copyright protection to fashion designs. It seems like only time (and lobbyists) will tell whether the fashion industry will receive any protection, and exactly what kind of protection it will receive. Thanks for the article! I am a law student at the University of Maryland School of Law, and I am writing a paper about how the use of 3D printing in fashion may affect the current copyright laws. Much of the 3D printed fashion pushes the envelope of “useful article” and I think this may help the push for amended copyright law regarding fashion designs. Any thoughts?